Weather: February/March and November/December (Daytime: mid-70’s to low 80’s | Evening: high-40’s to mid-50’s) aka perfect riding weather. Travel: 10am Los Angeles meetup. Los Angeles drop-off around 8:00pm on the final day. Book outgoing flights for the following morning. 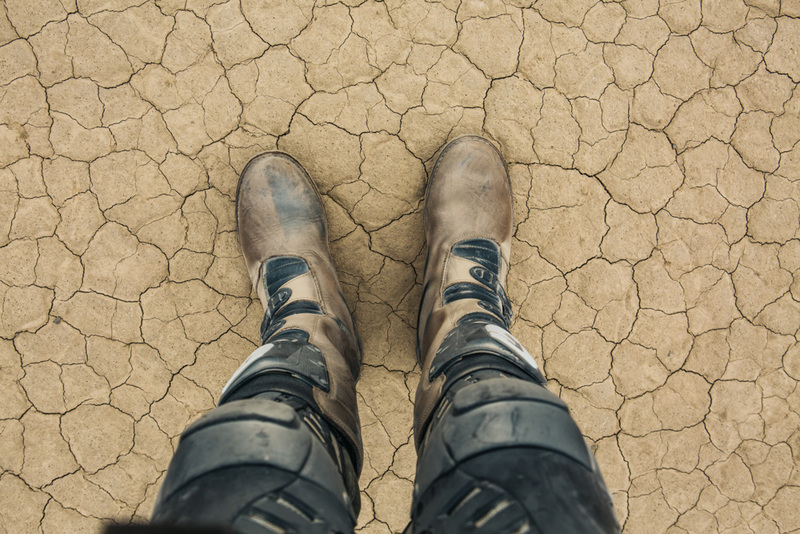 Death Valley is a rider’s dream. It boasts the lowest point in North America, the oldest trees on earth in the Bristlecone pine forest, ghost towns, hot springs, and breathtaking dry lakebeds. We’ll be exploring the best destinations and riding within the vast region of the valley in this epic ride. Weather and conditions are perfect in November through December and March through April. We’ll meet up at our LA headquarters at 10am and have a 3hour shuttle transport along the scenic highway 395 on the way to the ride of your life. We’ll ride about 60 miles through a slot canyon, past the infamous Barker Ranch all the way to our camp in the spectacular Butte valley. A full day of riding including blasting across the lowest point in North America on our way to a great lunch at Furnace Creek. After that we’ll check out an old ghost town and make camp in the desert. 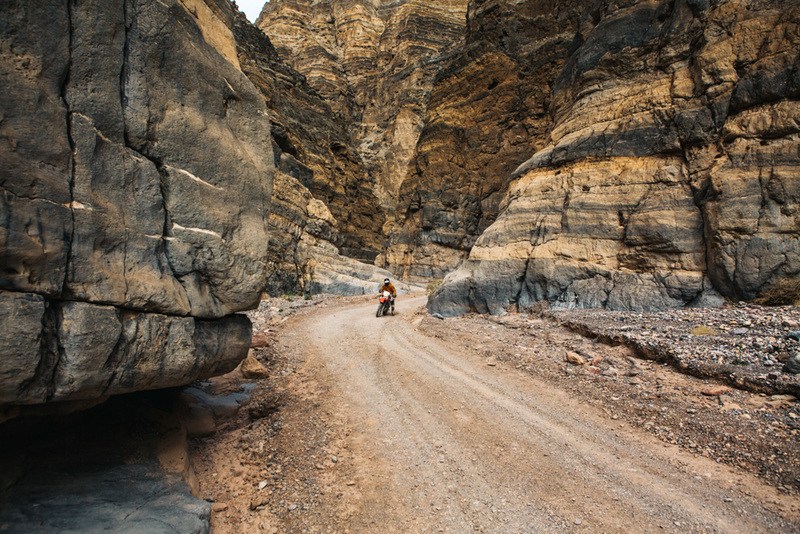 Upon waking up we will ride through the famous Titus canyon on our way to the Ubehebe crater. After that it’s full speed past Teakettle junction towards the racetrack to see the famous mysterious moving rocks and epic dry lake bed. Then we make our way down the always challenging Lippincott pass and head to Saline Valley for our final camp and some hot springs! We’ll wake up from our final camp and ride up and over the 7,109′ Hunter mountain pass. Then we’ll drop down into a Joshua tree forest and embark on our final stretch back to where we started for a big lunch and transport back to Los Angeles for an approximate 5pm drop-off time. I am a very new rider is the trip for me? I’m an experienced rider, will I be bored? Yes, if you have a protable C-PAP machine we can charge it nightly with the inverter on the chase truck.